Synaptiq offers a boutique artificial intelligence service for chief technology officers and heads of product at enterprise software companies where data-intense products require the aid of machine learning and artificial intelligence to drive innovation. Using a personalized approach coupled with business know-how and project management, we explore data and build, package and deploy AI-models within client products. Our team brings to bear decades of business and data science experience, partnering with each of our clients for optimal and affordable AI-powered solutions. Extensive experience in the field applying machine learning/data science to solve real world problems. Machine learning creates a competitive edge and is within grasp, not just for industry giants. 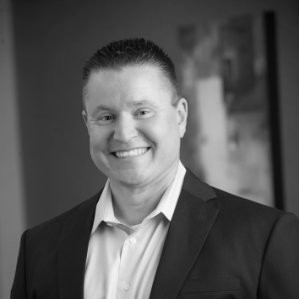 Stephen started his career at Ernst & Young LLP and has over 20 years experience as a management consultant and technology product leader at startups and public companies. He built and managed globally distributed teams, created productive partnerships, and led tech due-diligence for numerous technology acquisitions. He sold and delivered services and products to companies in technology, healthcare, financial services, entertainment, automotive and education industries. Most recently, Stephen was CTO / VP of Product at three innovative SaaS-based product companies using big data, machine learning, mobile and cloud technologies. Stephen has a B.S. from Virginia Tech (Go Hokies!). Outside of work, he enjoys spending time with his family, hiking with his dogs, and fly fishing. Tim has 25 years of experience as a researcher and practitioner in Artificial Intelligence and machine learning. He's published more than 150 peer-reviewed papers on topics such as time series analysis, sequence mining, natural language processing, relational and graph mining, medical informatics, and machine vision. He has extensive experience helping businesses extract value from their data, with consulting engagements in industries as varied as publishing, medicine, fraud, and geospatial analysis. Tim's an Oros Family Professor of Computer Science at the University of Maryland, Baltimore County, was a postdoctoral associate in the MIT Artificial Intelligence Lab, and has a Ph.D. in Computer Science from the University of Massachusetts, Amherst. Outside of work, Tim's a father of two and an avid runner. Throughout your life, if you’re lucky, you work with people who inspire you, amaze you, and help you grow. We've realized that dream. We bring our enthusiasm and experience into each client partnership to provide data-driven analytics and feature-sets that lead to innovation.